Since opening Little Hawaiian in 2003, Chef Tano & wife Cristi Phommasith have delighted Carrollton, Ga. Their passion and dream of the Hawaiian Islands inspires culture and cuisine that have landed several prestigious awards such as “The Restaurant of the Year” in 2009, 2010, and 2011 by Carrollton’s Main Street, “Best Place for Seafood” by Georgia Magazine, and “Best Caterer” & “Best Seafood” as voted by reader’s choice in the Times Georgian in 2010 and 2011. 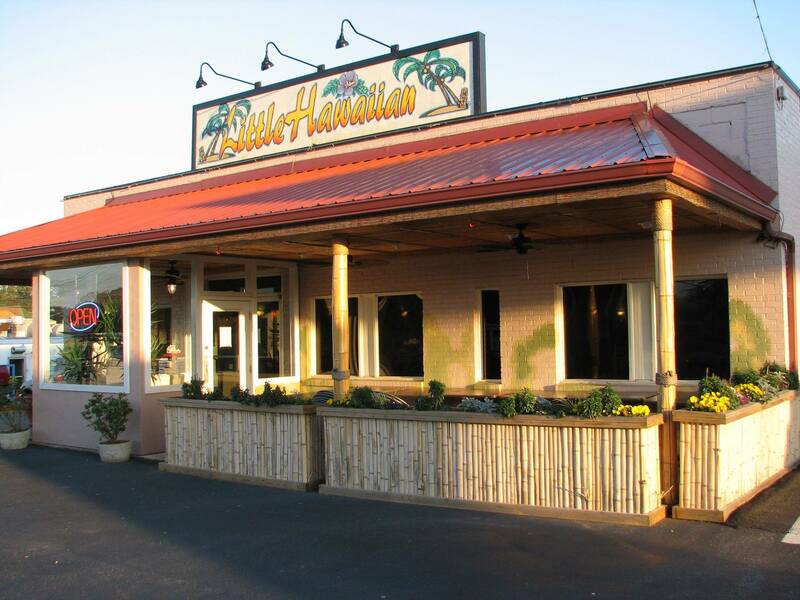 Little Hawaiian Seafood Grill & Tiki Lounge specializes in fresh Hawaiian Fish as well as fresh seafood from all over the world. The TIKI Lounge offers an array of great wine selections, tropical Island drinks and an extensive martini menu. Located in over 8,500 square feet, which started as a Mule Barn built in 1903, we offer an elegant dining experience and feature two large banquet rooms that are available for private events. Sixteen foot high ceilings dazzle with tropical decor. Let our “Aloha” style catering service indulge you and your guests; our event coordinator and special menu planning by Chef Tano can be versatile to meet your needs and exceed your expectations. Chef Tano is with his son, Justin. Justin is also a graduate of Culinary School. Chef Tano Phommasith was born in Laos and grew up in Honolulu Hawaii. Tano started working at the age of 15 as a cook in a family owned Rama Thai Cuisine restaurant in Honolulu. Chef Tano’s experience includes years of service in a Five Star restaurant in Honolulu, years of bar tending in Chicago while attending Culinary School, and many Executive Chef assignments across the Southeastern United States. 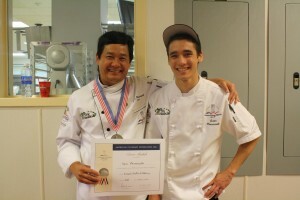 Chef Tano won the Governor’s Cup Gold Medal in 2008 in Atlanta, Ga. which was held at the La Cordon Bleu Culinary Institute. Chef Tano is a multi medal winner in Chef competitions over the years, earning 1 Gold Medal and 8 Silver medals in various Chef competitions and Seafood Challenges since 2005. Come and taste his inventive culinary genius! Chef Tano is pictured above with his son, Justin. Justin is also a graduate of Culinary School.